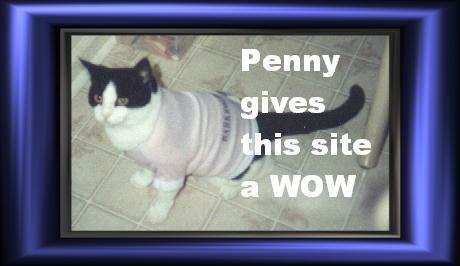 It is hard to maintain external site links. 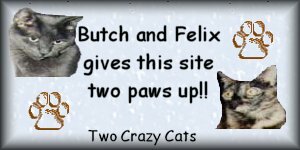 Cat sites seem to pop-up and go away almost daily. 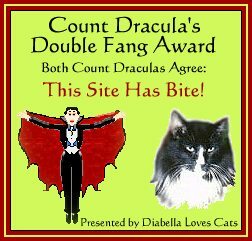 If one of the below links is broken please let me know. 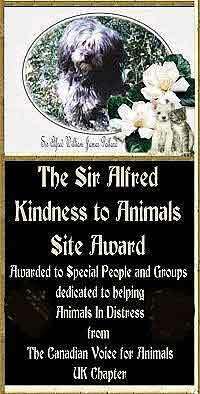 If one is marked as not valid and you know where the site is these days, please let me know. 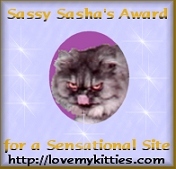 These are great cat related sites and deserving of your visit. 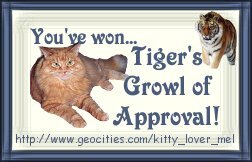 There are more than 1,600 pages of kitty fun! 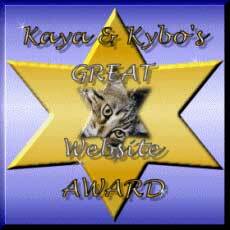 Many fo the awards link to the sites we received them from. 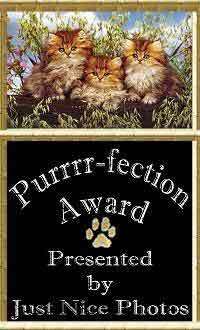 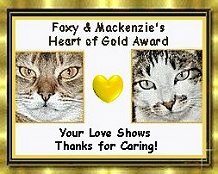 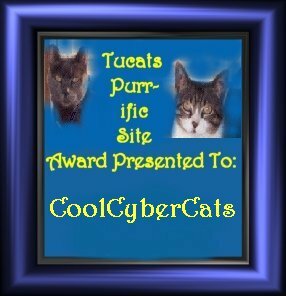 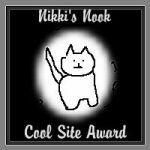 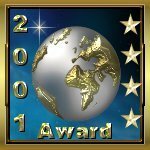 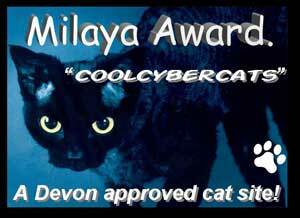 Sadly many of the sites no longer exist and the images are not linked, but their love of cats lives on in the wonderful awards shown below. 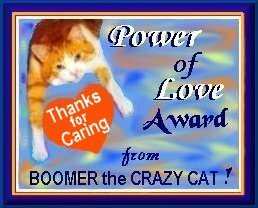 Thanks Boomer and Carla. 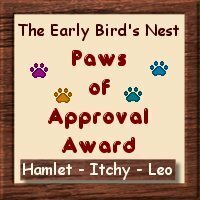 Leo will always miss the brother he never knew.